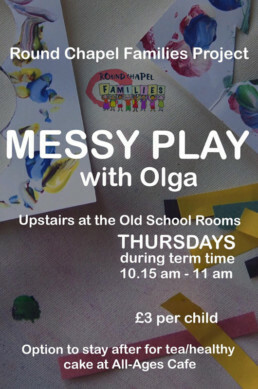 On Thursday mornings local artist Olga opens the doors to parents and carers and their under 5s for sensory, messy and creative activities. 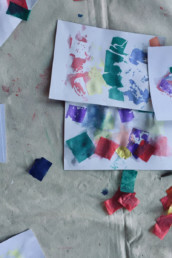 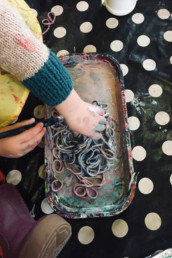 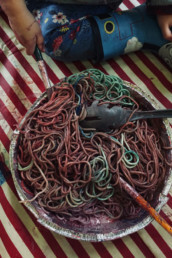 Encounter a bowl of slimey rainbow worms or paints that have been frozen and melt as you draw, squidgy coloured dough or giant sheets of paper to splash and splot your marks all over. 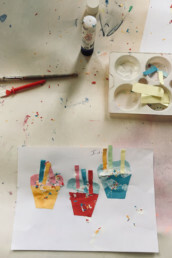 No need to book a place just come along.